Check out Tobi's Get To Know You Sweater Things are warmin' up in the Get To Know You Orange Sweater. This cable knit turtleneck jumper features a high neck construction, ribbing, and a relaxed fit. Perfect for taking on the chill, pair this orange sweater with dark high waisted jeans and boots. Things are warmin' up in the Get To Know You Orange Sweater. This cable knit turtleneck jumper features a high neck construction, ribbing, and a relaxed fit. 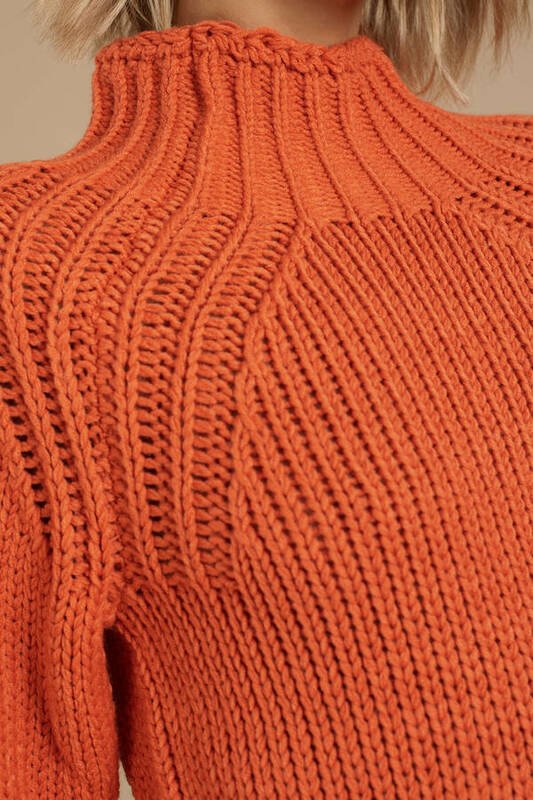 Perfect for taking on the chill, pair this orange sweater with dark high waisted jeans and boots. Orange modeled on a size Small/Medium.